Members of the North Carolina General Assembly assembled in Raleigh this week for the start of the 2018 “short” legislative session. Like all “short” sessions, the primary focus of lawmakers’ time in Raleigh will be on adjusting the State’s two-year budget that was put in place during the 2017 “long” legislative session. While the focus of lawmakers’ time will be the budget, they will also consider other matters. Below are a few items and topics that NC Family will closely monitor during this session. In the final days of the 2017 long session, the NC Senate passed a bill by a vote of 38-8 that would help rid the state of illicit video gambling parlors. HB 577 would make possession of more than four video sweepstakes machines a Class G felony, and would force the operators to forfeit the machines, in addition to current penalties for operating any sweepstakes machines. Senator Andy Wells (R-Catawba) led the effort to pass the bill in the Senate, and it received support from NC Family and the North Carolina Sheriffs’ Association. 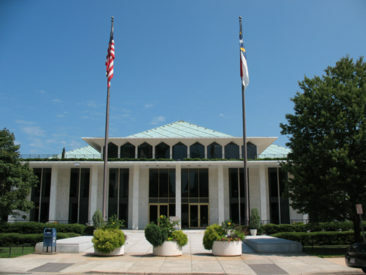 With the start of the new legislative session, the bill is eligible for consideration by the N.C. House. On the first day of the short session, bills were filed in both the House and Senate to double the advertising budget for the state lottery. SB 716 and HB 952 would authorize the State Lottery Commission to allocate up to two percent of total annual revenues from the lottery for advertising. Based on the lottery’s financial statements ending June 30, 2017, passage of either of these bills would mean the lottery’s advertising budget could increase from $20 million a year to over $40 million a year. Similar proposals have been defeated in recent years, but this remains a major issue of contention. The NC General Assembly has continued to make school choice a top educational priority in the past few legislative sessions. In the budget bill passed last session, lawmakers maintained an increase in funds available for Opportunity Scholarships, and created a new way (in addition to the existing Children with Disabilities Grant Program) for parents of children with special needs to utilize state resources through the creation of an Education Savings Account. Despite legal opposition by Governor Roy Cooper to future funding for the Opportunity Scholarship Program, there is little expectation that funding for these programs will change as lawmakers make adjustments to the budget. Regardless, this is something NC Family will monitor closely. A bi-partisan legislative committee met twice during the interim between sessions, to study a wide range of causes and solutions for school violence. Earlier this month, the House Select Committee on School Safety adopted 15 policy recommendations intended to protect children from potential harm, and to prevent harmful events from occurring. Lawmakers will likely consider many of these proposals during the short session. Opioid addiction continues to be a massive problem throughout the state and nation. According to the NC Department of Health and Human Services, from 1999 to 2016 more than 12,000 North Carolinians died from opioid-related overdoses. In the 2017 “long” session, lawmakers passed HB 243- Strengthen Opioid Misuse to address this growing epidemic. HB 243 limits access to opioids; increases doctor and pharmacy participation in regulating, tracking and limiting access to these addictive drugs; and provides funding for community-based treatment and recovery services. Lawmakers, however, are continuing to study and search for other policy solutions for this tragic epidemic.